Rudiger Mini Spine is a scale reproduction of a real bone spinal column. It features all the anatomical details in a spine and is a perfect desktop size. 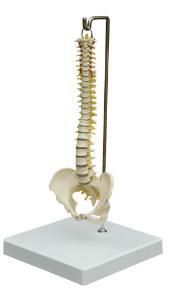 The Mini Spine is fully flexible with arteries and nerves.